Having worked in the world of advertising and marketing for many, many years, I’m always excited when I see an exceptional ad campaign. Recently, nothing has stopped me in my tracks like Amazon’s “The Marvelous Mrs. Maisel” edition of the classic Maxwell House Haggadah. For those who don’t know, a Haggadah is a traditional Jewish text that tells the story of the liberation of Jews from slavery in Egypt and is recited at the Passover Seder table. 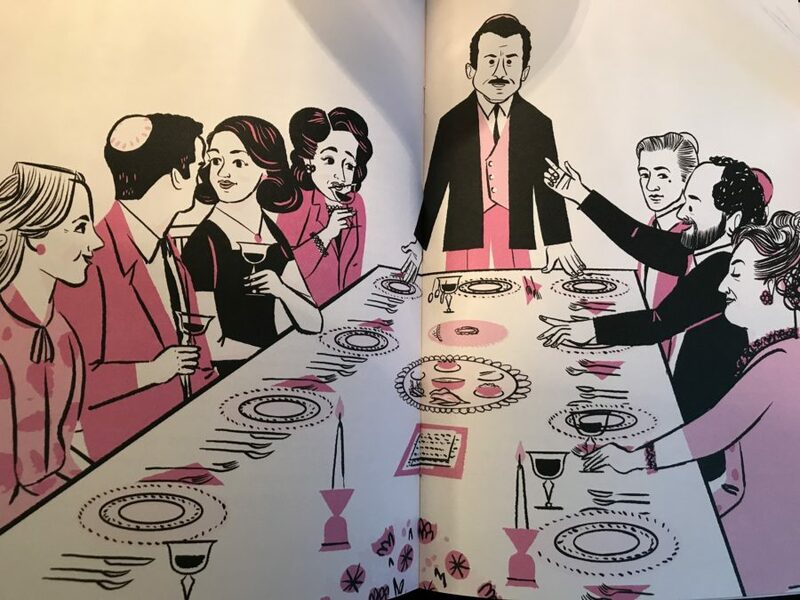 Since 1932, Maxwell House has printed their own Haggadah during Passover season as a marketing promotion and is considered a cultural icon today. Growing up, our Seder table was a mix of Maxwell House Haggadah’s (that my mom scored at the supermarket) and our Hebrew school ones. Each one having their own unique marks from wine stains to the scribbles my brothers and I created to claim them as our own. This year, Maxwell House finally made a move to get themselves back in the spotlight with The Marvelous Mrs. Maisel Haggadah. 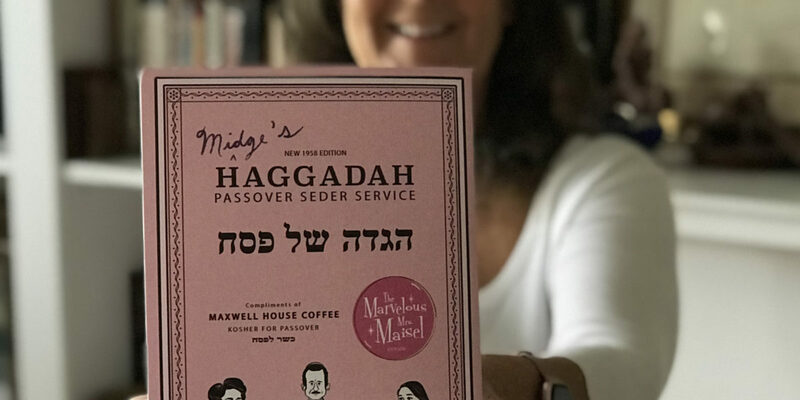 Yours free with Maxwell House coffee purchases, Midge Maisel’s Haggadah reminded me of my formative years growing up in Queens, NY in the 70s. Maxwell House’s clever marketing campaign ingratiated the iconic “Good to the Last Drop” coffee roaster with the Jewish community. This unique Haggadah is complete with illustrations, wine-stained pages and Midge’s handwritten secret brisket recipe. Like hundreds of other consumers, I had to have one, and bought 4 tubs of Maxwell House coffee -- something I haven’t had since 1982 – in order to get my own copy. Search #MarvelousMrsMaisel or #Haggadah and you’ll find hundreds of posts—from people like me! But Mrs. Maisel isn’t the only one making marketing news lately. Don’t watch the final season of HBO’s Game of Thrones without your official GOT Oreo's. That’s right, GOT Oreo's feature the four sigils from the smash hit HBO series. As far as I’m concerned, life is almost never black and white, except when it comes to our universal love of this classic cookie. To dunk or not to dunk? Collaborations between TV programs and food has been a tried and true strategy for years. After all, people love to nosh in-front of the tube. Do I think this crafty partnership between GOT and Oreo will ramp up cookie sales this season? Only time will tell. “Winter is Coming” this spring with the very last episode of the series airing May 19th, so we shall see. Starbucks red cup doesn’t just hold coffee, it grabs your attention. For a limited time, every year, Starbucks serves up their brew in merry holiday cups. It may have started as a small idea but it has made a big and lasting impact, along with a lot of controversy, as this colorful tradition has come to signal the start of the holiday season. With new designs every year, many consumers look forward to their first Pumpkin Spiced Latte in a tasteful cup? The 2016 cups featured the designs of actual Starbucks' customers. The “Shot on iPhone” campaign is just another example of a brilliant marketer doing something really smart. Apple showcased their user generated content on billboard ads promoting the iPhone’s camera quality. The beautiful and moving campaign shots taken on iPhones inspires us to be our own photographers, documenters, and historians. How many bus shelter-worthy iPhone pics have you taken? In this age of documentation gone wild, the iPhone helps us see in a new way. Just remember to look up from your phone once in a while. In my current role – and the hospitality industry as a whole – marketing campaigns play an important role in my company’s success, but sometimes the goal is not just about revenue, but changing consumer behavior or suggesting “better for you” options. For Earth Month and Stop Food Waste Day, April 24th we are running a social media campaign to raise awareness of the impact on food waste and the environment. Through strategic hashtags, campaigns can be slow-going, but help spread the word of core values and important messages. To change consumer habits, several factors in our industry need to be considered. The design of the marketing campaign, the position of product as the consumer shops, and the messaging the campaign is telling. Then, STEP AND REPEAT until it sticks. Consumer engagement and story-telling go hand in hand. Once we reel in our target audience, hospitality professionals know you must follow through with a start-to-finish consumer experience that seamlessly delivers high quality food and service that exceeds expectations. When planning your next marketing campaign, I’d definitely recommend thinking about what happens after the campaign is posted, what the experience is going to be like for the customer after you have captured them, and how it will connect you with the people in your community. So, as I muse about marketing, memories, and Mrs. Maisel, I realize that when brands really connect with us, they become part of the fabric of our shared experience. The ad-vantage goes to the brand that makes their mark and connects with the individuals in their market in a very personal way. When done really well, advertising/marketing campaigns can spark joy in us. And you can’t put a price on that. In closing, may your life be filled with enough “Charoset” to make your ad campaigns stick and enough bitter herbs, to make you grateful for sweet success. And, if anyone is in need of some coffee, just call me, I have 4 TUBS of Maxwell House Coffee! Oy vey!